Big Pharma has given baby boomers, members of under-represented communities, and American taxpayers rare and promising good news about a product price cut: A drug used in a highly effective multi-course treatment for hepatitis C will see its sky-high price continue to plunge. Gilead Sciences Inc., facing steep competition from other makers and innovations from non-profits, has decided to sell cheaper, just as potent versions of its hep C fighting drugs Epclusa and Harvoni. The company’s “authorized generics” will be sold for $24,000 for a regimen of care that has been shown to clear the once lethal hepatitis virus in patients. The new medications’ costs also compare to launch list prices of their branded predecessors: $94,500 for Harvoni and $74,760 for Epclusa. Those drugs had generated huge profits for Gilead, boosting its market valuation to almost $100 billion. At the same time, critics assailed the company for profiteering, leading to congressional hearings. Gilead also found itself embroiled in a market competition, with drug makers AbbieVie and Merck introducing alternative and cheaper products that slashed into profits of the Foster City, Calif., company that broke ground in hep C treatment. In the developing world, a nonprofit also has said it was working with an Egyptian manufacturer to market an even cheaper hep C treatment, using a generic version of a Gilead drug and costing as little as $300 for a 12-week treatment. The ferocious competition to treat the virus better and cheaper reflects the worrisome rise of damaging and debilitating hepatitis in its various types labeled A, B, C, D, and E, experts say. 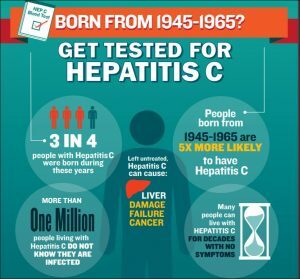 They estimate that 2.7 million to 3.9 million Americans may have chronic Hep C infections, which may not display symptoms and go undetected until they damage the liver and lead to destructive diseases like cirrhosis and cancers. Americans born between 1945 and 1965 are three times more likely to be C-infected than others, and 3 out of 4 of those with this infection is a boomer. 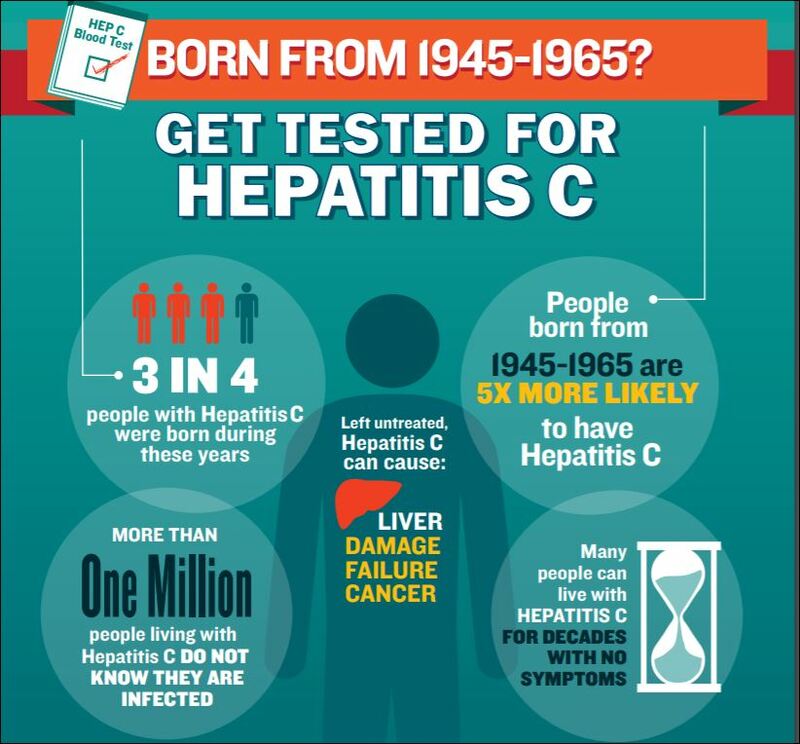 Hep C is a blood borne disease, which also is often linked with HIV-AIDS infection. Medical scientists aren’t sure why, though they suspect that boomers’ predisposition to risky behaviors may be a cause. It also is true that before the HIV-AIDS crisis of the 1990s, medical authorities didn’t know to screen the nation’s blood supplies for viruses. Some patients may have gotten hep C via transfusion, and this may have been a key pathway for the disease’s spread. Besides boomers, hep C also has hit hard minorities — specifically African-Americans and Latinos — and gays. Concern had grown about potential public costs for caring for hep C patients. The sick battled state by state for help. California, the nation’s most populous state, has grudgingly agreed to pay for hep C drugs under its Medi-Cal program. State officials said they would need to set aside $1 billion just to assist patients with this infection. Besides concerns about government coverage for older, sick hep C patients, lawmakers and policy-makers also are grappling with paying for anti-viral treatment for jail and prison inmates, many who say they were infected while incarcerated. With some experts estimating the nation would be forced to pay $53 billion for hep C care, it could be great health and financial news if those costs plummet. In my practice, I see the harms that patients suffer while seeking medical services, and their struggles to access and afford safe, effective, and excellent medical care, especially when prescription medication prices keep going through the roof, even while too many drugs prove to be risky and dangerous. Although the costs of hep C drugs may be declining and its maker is asserting that this is due, partly, to the company’s desire to assist the sick, developments with this product enforce why lawmakers and regulators need to pressure Big Pharma even more to stop its price gouging and games playing. Scott Gottlieb, the commissioner of the federal Food and Drug Administration, has campaigned for his agency to get out front of efforts to speed to markets lower cost, equally effective generic drugs. At the same, though, makers persist in protecting their profiteering with tactics involving patent protections and designations of existing products with different uses, in off label prescribing and notably as “orphan drugs” for treating rare conditions. [I]t’s been business as usual for drug makers, with far more price hikes than cuts. The number of increases slowed somewhat and were not quite as steep as in past years … Over the first seven months of the year, there were 96 price hikes for every price cut. We’ve got a lot of work to do to rein in Big Pharma, allowing makers appropriate returns on the costs of developing their products but not staggering the sick and injured with unacceptable costs. We also need to battle infections like hepatitis with all our public health might, knowing they’re a formidable foe: Indeed, in Hong Kong, medical scientists have found that a strain of hepatitis E previously seen only in rats had made a concerning and unusual leap to humans in a crowded global capital.